At the first hint of fall, my favorite recipes to pull out are those containing pumpkin puree and mulling-type spices! There’s nothing that says fall (to me and my family) like the delicious aroma and taste of spiced apple cider and a healthy pumpkin-flavored treat. Mmm! We hope this becomes a treasured treat for your family too! Swirling the cream cheese mixture and pumpkin batter together, as described in the recipe below, creates a pretty swirl pattern that’s delightfully delicious too! These easy-to-make bars are the perfect festive treat for Fall gatherings with friends & family. Next make the batter: Preheat oven to 350 degrees. Lightly oil an 9x9-inch baking dish (I use coconut oil). In a small bowl, combine the almond flour, baking soda, salt and pumpkin spice. Set aside. Using an electric hand mixer, blend (on low speed) pumpkin, maple syrup, eggs and vanilla for 1- 2 minutes, until well combined. Slowly add the dry ingredients into the wet and continue mixing for a full minute, until smooth and well blended. 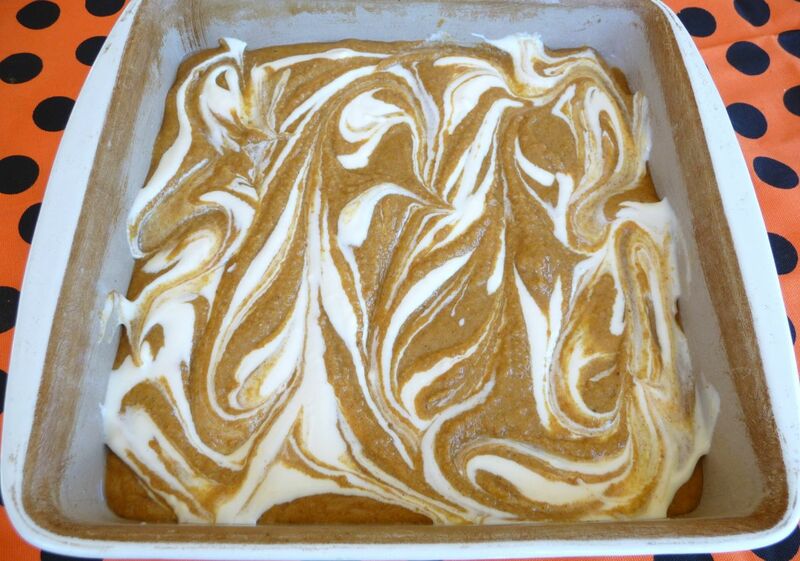 Then drop small spoonfuls of the 1/2 cup of remaining pumpkin batter over some of the cream cheese swirl topping. Bake for approximately 28-30 minutes, until a toothpick insert in center comes out clean. Allow to cool for at least 10-15 minutes, before cutting into bars. Yum! This recipe was shared at: Better Mom Mondays. 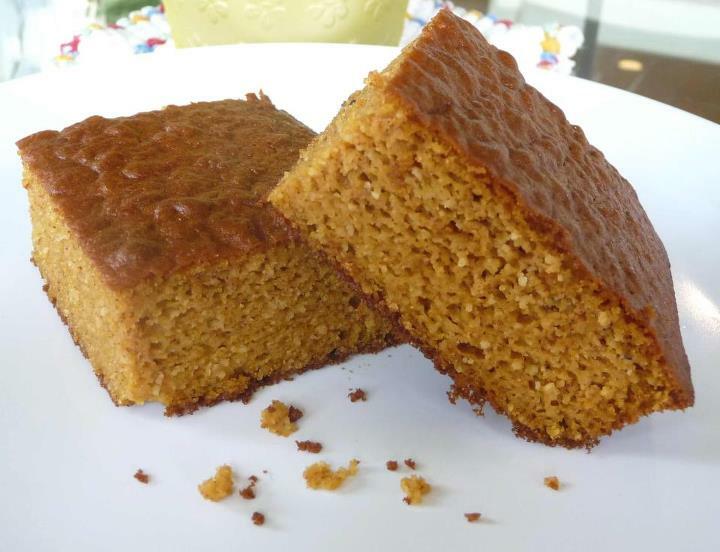 Can I use sprouted flour in place of the almond flour. I have neither the time nor money to make/buy almond flour right now and this looks absolutely yummy! Sorry, just read the answer, thanks Kelly. Do you have suggestions for low-sugar substitutions in this recipe? What might you use for liquid if xylitol was the sweetener? Thank you. They really look very delicious. I look forward to trying this. We are trying to reduce our consumption of grains, but so many wonderful fall recipes call for flour. This looks wonderful. Found your blog through a pinterest post and I’m sure glad I did. YUMMO! Those almond flour snickerdoodles? Yes please! recipe states see * for dairy free option, but there is no asterisk with this note. I made these for the third time today and can’t get enough! My girls love them and I can’t quit nibbling t them all day. Great recipe! The only issue I have is getting the middle to cook before the pretty cream cheese swirl turns brown. Maybe I will try covering them for the first 20 minutes, but this is an amazing recipe. I also used it the batter to make muffins and added chocolate chips. I’m making your granola and the bars as soon as my rye flakes arrive. Great site! Thank you! I would like to try these. I have a fresh whole pumpkin. What is the best way to turn it into puree? Delicious!!! I followed the recipe as is and it came out perfect. 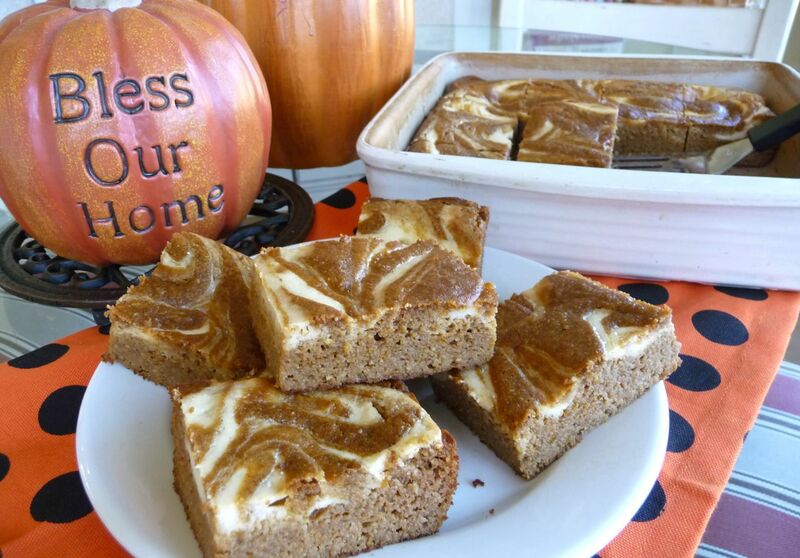 I rarely eat sweets but when I read the recipe I was craving the pumpkin and spices and it satisfied my craving 100%! My fiancé doesn’t usually like stuff like this so we were both shocked at how much he loved it too LOL Thanks so much and I’ll be checking back for more of your recipes! 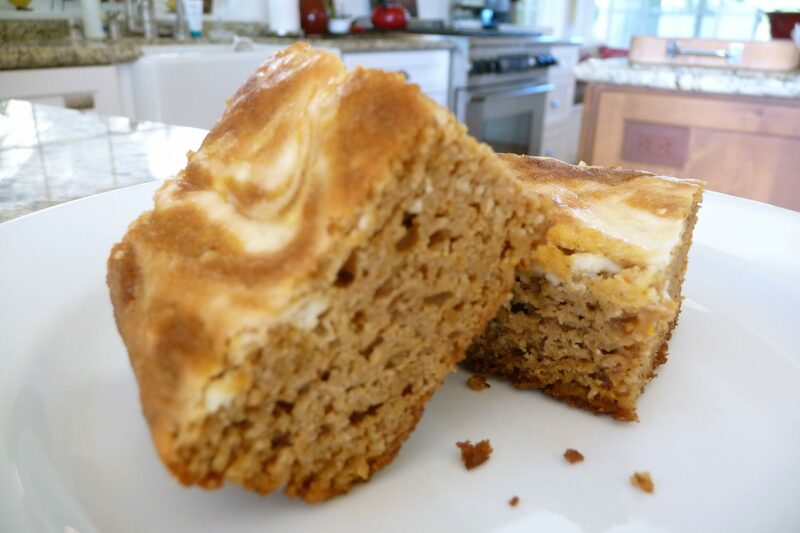 I made this recipe for some friends with food allergies and it was a hit! One if my friends said it was the best no sugar/no wheat dessert she’s ever had. 🙂 I also made a smaller dairy free version and swirled a little cinnamon mixed with agave on top and it tasted delicious! It’s hard to find low/no flour recipes with a good consistency and these were incredibly moist and yummy. 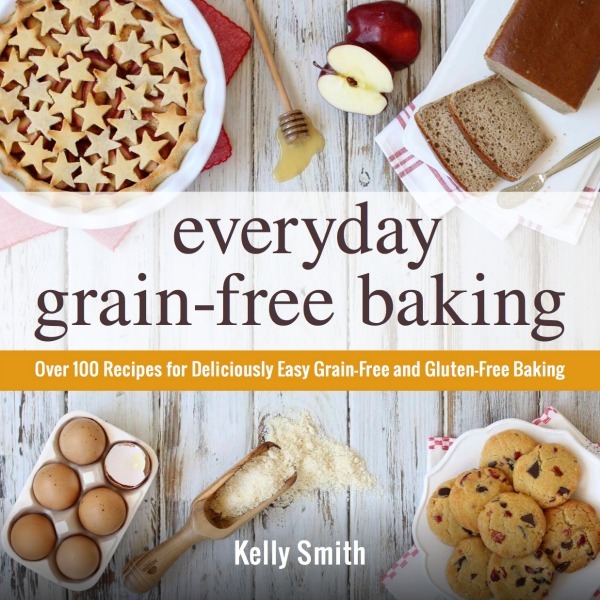 Thank you for sharing this recipe Kelly. My daughters and I are anxious to try this out! I too would be interested in hearing if anyone has has good results with another sweetener. I would like to use maybe a coconut sugar/xylitol blend or try the applesauce/stevia blend that you recommended. I would like to make these for a birthday celebration on Friday. Everyone except for me can have dairy, so I would like to have a frosting that others can put on their bars if they want. Do you have a recipe for frosting that would work well with these? Wow! I just made these (using the dairy-free version and fresh pumpkin puree) and they are INSANE, they are just that good. I was afraid my 11-yr-old picky eater wouldn’t go near them, but the smell of them baking reeled him right in. Now he’s asking for more. Thank you so much! Just took it out of the oven (40 min though, not 30) and it is OFF THE HOOK! soft and moist and yummy! If I only could make it correctly, grrr! I’ve made it twice and read the recipe wrong both times. Making it again tomorrow, 3rd times a charm aye??? Sorry this happened, but if at first you don’t succeed have a cup of tea, take a deep breath and try again! 🙂 I’m routing for you! What is pumpkin pie spice I’ve never seen that in nz? Combine ingredients in a small bowl, until well blended. Then, transfer to a clean recycled spice jar or small mason jar. Use in your favorite fall-inspired recipes. Hi Kelly, Thanks for the great recipe. I made these for dessert. I needed to change up the maple syrup because my husband is on a cancer fighting diet. I used 1/4 cup honey and 1 tbsp xylo-sweet in the batter. In the cream cheese swirl I used stevia to taste. It turned out perfect. I couldn’t use all xylitol because too much does upset our stomachs. If you have any suggestions on even less honey then please let me know. Also I was wondering if I used the whole 8oz of cream cheese and just added the whole egg instead of only the white, would that be fine or would I need 2 egg whites? Thanks for your thoughts.